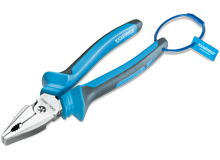 WORLD CLASS SOLUTIONS FOR THE PREVENTION OF DROPPED TOOLS. 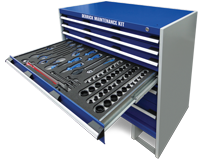 Established in 2009, Tool@rrest is a privately owned company headquartered in Telford, United Kingdom. Officially, we are a leading manufacturer of engineered, certificated solutions to prevent dropped tools in the ‘work at height’ sector – providing a complete solution including securing of the tools-in-waiting (tools in the work belt or holster). In practice, that means we persistently and passionately get out of bed each day to deliver innovative products, training and solutions that keep people safe. Deaths from falling objects are now the second highest cause of fatality in the workplace in most developed economies, the majority are entirely preventable with systematic tethering of tools when working at height. With over 300 outlets and partners globally, we can now reach clients on 4 continents and are experiencing exponential growth as the impact of the work at height regulatory time bomb emerges and starts to impact professional life in the construction, utility, offshore, telecoms and many other areas where dropped tool incidents occur during every day work. The majority of products begin life at our UK head office and we have a number of full time product engineers solely focussed on creating new solutions, grounded in patentable Intellectual Property, that deliver significant value to clients across a variety of applications and industries. Safety, innovation and integrity are core values that drive our business and drive our mission to make work at height safe. Premium general and specialist hand tools for industrial use at height, specifically designed with our iconic independently tested Tool@rrest tether. 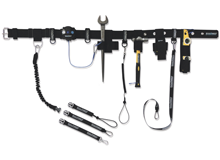 A central part of any safety system for safe work at height. Our range of tool, wrist and retractable lanyards, buckets, belts, holders and accessories complete the solution for safe work at height, including tools-in-waiting, completing the solution for safe use and storage of hand tools.